This was so much fun to do – it was nice to be creative. The polish used for the base colour is Muchi, Muchi by Essie. 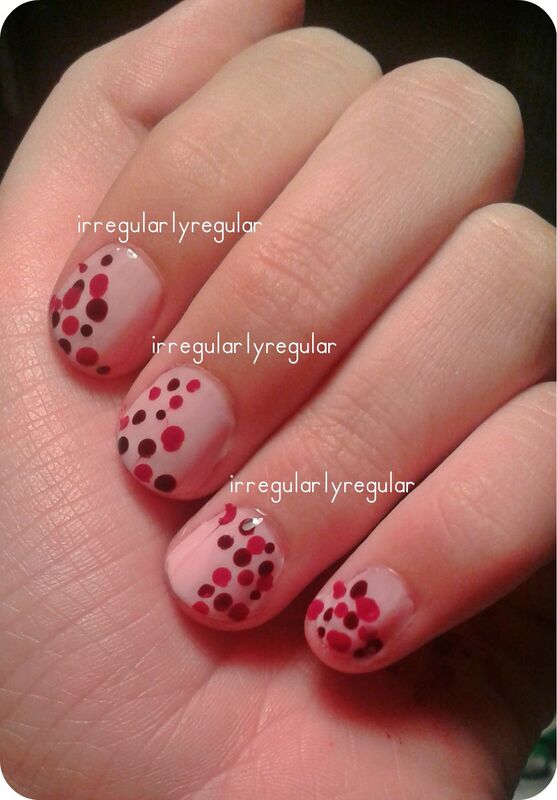 The polishes used for the dots are both by L’Oreal and the dark colour is Hypnotic Red and the lighter colour is Addictive Plum. I think the colours compliment each other quite well. Hvis man kun tager et enkelt, meget tyndt lag på, får neglene også bare sådan et skønt glow af at være “rene” og pæne.